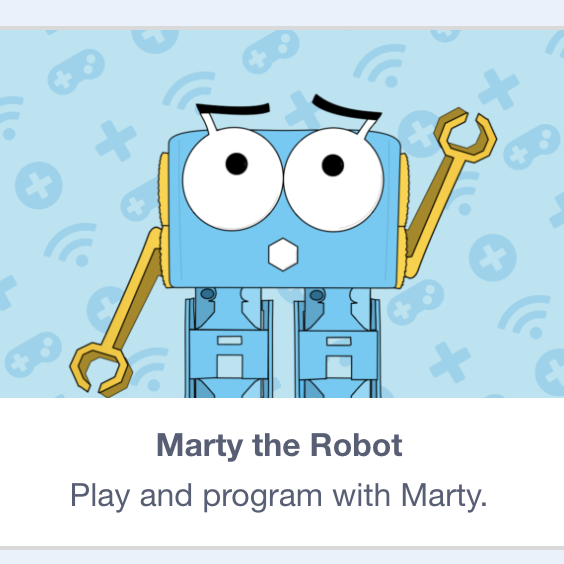 Marty the Robot is Ready for Scratch 3.0! 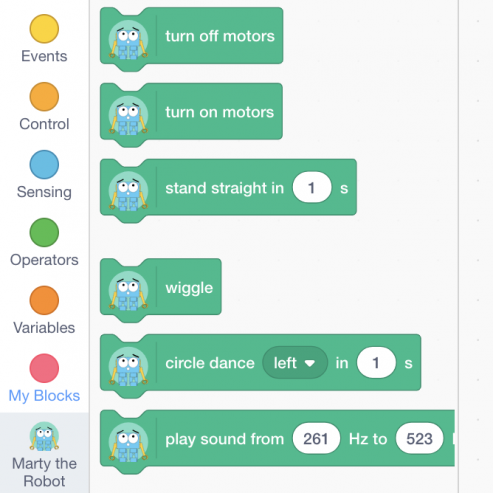 Marty has been updated and polished for his appearance as one of the Scratch extensions whilst our lesson plans have been updated to be Scratch 3 compatible. 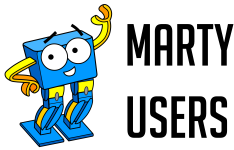 At the moment, you can't access our extension on the normal Scratch website but we have a special link available so that you can still get the advantages of Scratch 3 with Marty! Follow these simple steps to launch the latest Scratch version and add in our Marty extension. Head over to our Scratch 3.0 beta site and select the icon in the bottom left to add a new extension to the editor to add Marty in as a Scratch extension. 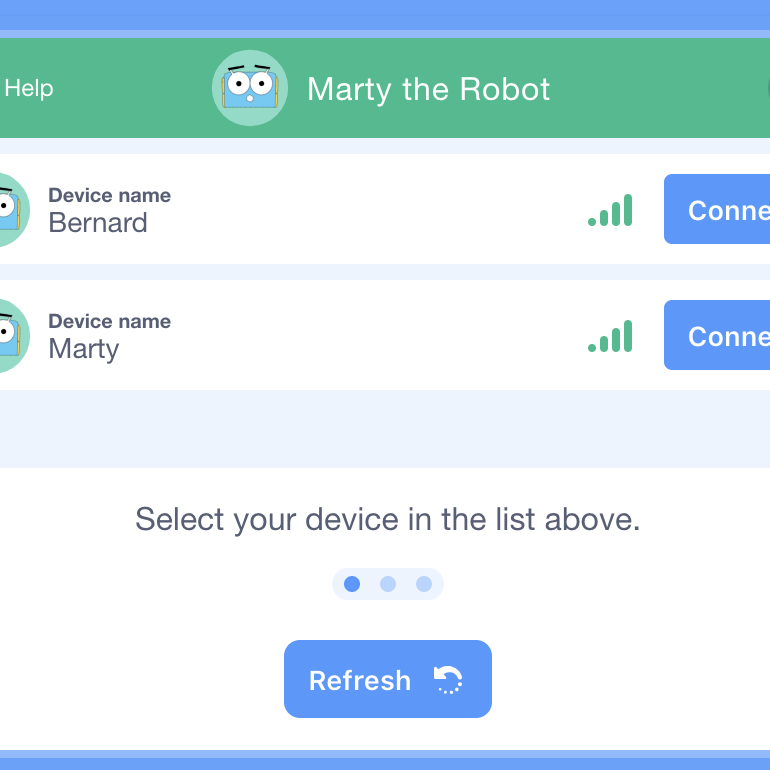 You should now get a small prompt to ask you to connect to your Marty - make sure your Marty device is turned on and connected to the same network as your device! That's it! You now have access to all the blocks you need to program your own Marty device. Make sure to share with us what creations your build - we would love to see them! A great starting spot for those who are new to Marty and programming. Addresses the Second Level Technology Benchmark in the CfE. The next step for budding programmers to get to grips with new coding concepts. Addresses the Second Level Technology Benchmarks in the CfE. Continue to learn with our second programming concepts lesson pack. Addresses the Second Level Technology Benchmarks in the CfE. Learn more about robotics and sensors that Marty has to explore how he interacts with the world. Addresses the Second Level Technology Benchmarks in CfE. Learn about how to use your BBC Micro:Bit along with your Marty and continue to explore physical computing. Addresses the Second Level Technology Benchmarks in CfE.